Have you ever felt judged or stigmatized for having hepatitis C? Due to the myths and misconceptions surrounding hepatitis C, many people feel judged or mistreated because of their diagnosis. Especially when people assume that you contracted hepatitis C through drug use, it can be really difficult to cope. To address these concerns, we asked our HepatitisC.net advocates, “What advice do you have for dealing with hep C stigma?“. Check-out their responses, and comment below to share your own ideas! Still have questions? Some people want to learn more about hep C, but also want to keep their diagnosis private. At HepatitisC.net, there are ways to get information and connect with others, without revealing your identity. 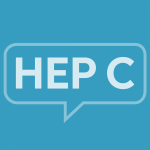 Click here to learn more about how to talk about hep C anonymously.